May is almost here, meaning it is festival season! 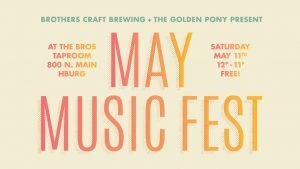 What better way to kick off #AmericanCraftBeerWeek than with our May Music Festival! 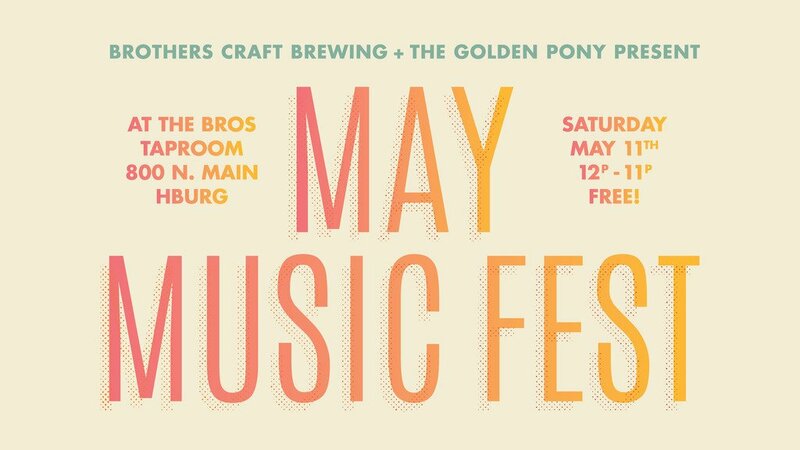 This year, we are teaming up with our friends at The Golden Pony – VA to bring you a full day of local music!! Even better, we will have the return of our summer seasonal, Gosecolada, which is the perfect beer to be drinking on a warm, spring day while watching local bands outside. We will also have food options, artists, games, a fire pit with a FREE s’mores station in the evening, and a killer tap list!! Plus, we will be doing a major fund raiser for two of our local pet adoption centers. Come out to learn how you can adopt locally, and what you can do to help support these awesome organizations. And feel free to bring your four legged friends with you! Admission to the event is FREE!!! Keep an eye on this event page as it updates in the coming weeks. *Both organizations will have an informational booth set up, animals on site that are up for adoption, and they will be taking donations. We will also donate a portion of our proceeds from the day to both organizations.